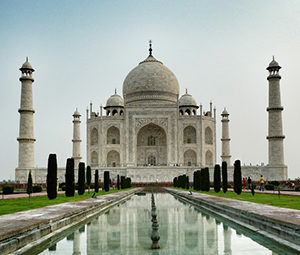 Discover India with DHL Express! The world largest democracy is a fast growing economy. Consequently, you might be keen on doing business in India. 1.31 billion people live in India. In fact, the country has the second biggest population worldwide. 65% of the population are millennials or part of the Gen Z group. This young market is a major opportunity for many brands. Especially the e-commerce business could profit from this fact in the upcoming years. Besides Hindi and English, there are 22 recognized languages. However, there are approximately 122 languages in use. In addition, customs and traditions vary across the regions. 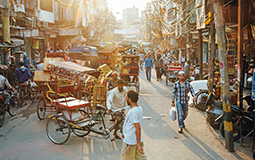 For this reasons, you might face challenges when developing your business in India. The services sector contributes to 50% of the economy. The agriculture sector has a market share of 17%, although almost 50% of the workforce are active in this sector. Top industries for expected growth are: Corrosion control, water treatment as well as healthcare and medical equipment. DHL Express can help you to develop your business within India. Due to our strong local network, we safely deliver your important packages and documents to any destination. Simply ship to cities like New Delhi, Mumbai or Hyderabad. Go ahead, we even cover the most remote areas!